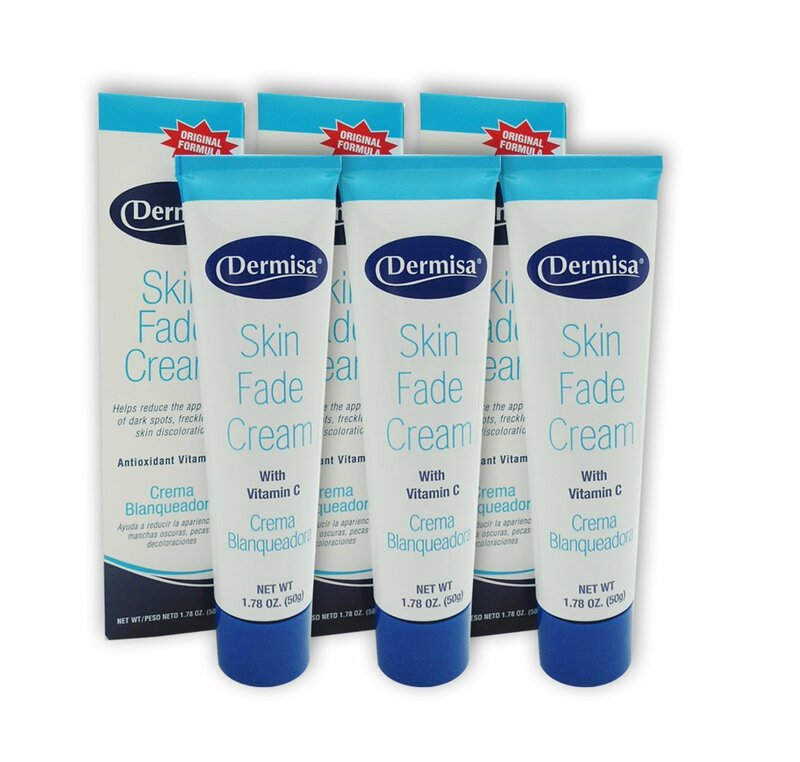 Dermisa Skin Fade Cream 1.7oz. Original formula. Helps lighten and prevent agespots, freckles and skin discoloration. With antioxidant Vitamin C. DermisaSkin Fade Cream is a light non-oily cream designed to help fade skindiscoloration caused by overexposure to the sun, aging, pregnancy, minor scarsand use of birth control pills. Contains antioxidant Vitamin C to helprejuvenate the skin. This proven formula also contains a protective sunscreento help dark spots from recurring and moisturizers to help your skin lookyoung and feel smooth.